Easter is just around the corner. If your thinking you would love to treat your older family and friends with a delightful basket that fits their passion this year, well, have I some wonderful ideas for you! And for those bakers, isn’t this next idea a wonderful idea for you to create for that someone special. Do you know someone, besides me, that is a coffee lover? (Oh that is me!) 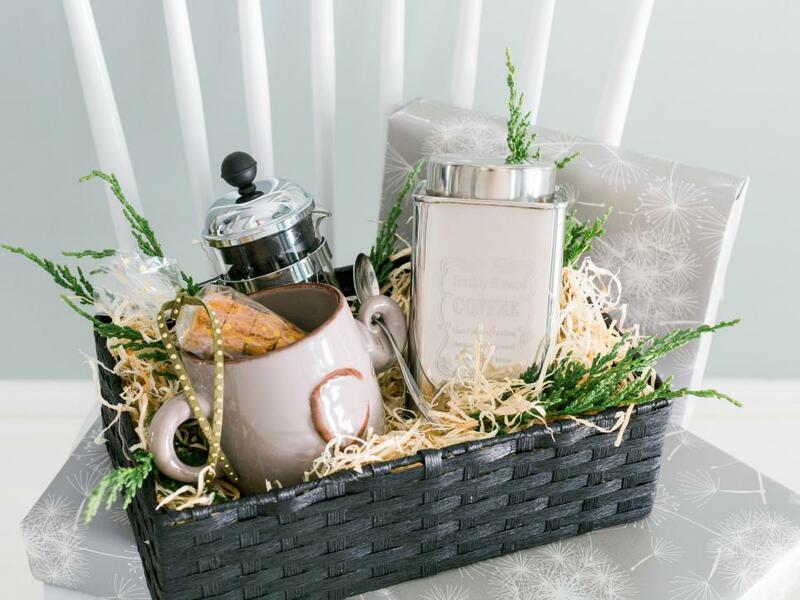 Fill a woven basket with a french press, personalized mug and their favorite brew packaged in a vintage tin. Who doesn’t love a good wine and chocolate pairing? 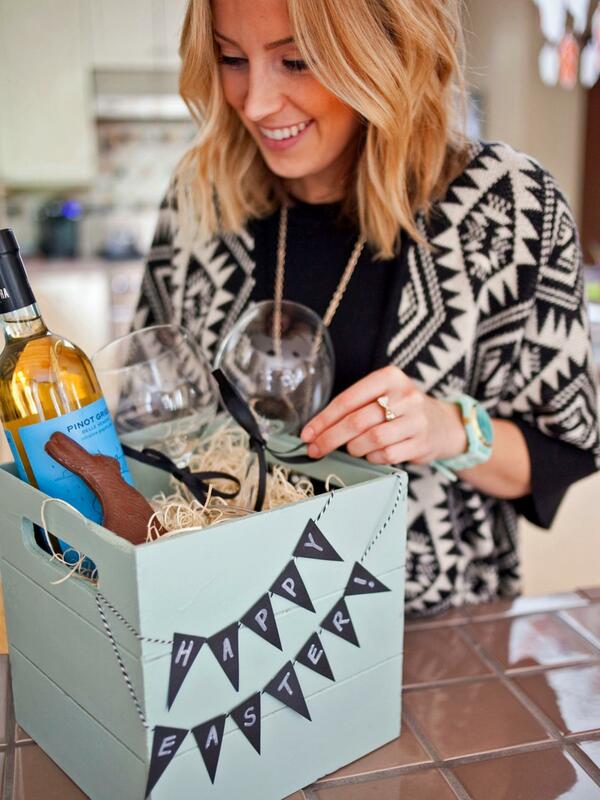 This praiseworthy Easter basket comes stocked with a bottle of vino, matching wine glasses and an ever-iconic milk chocolate bunny. Kick it up a notch by crafting a “Happy Easter” banner for the front of the box that you can use year after year. 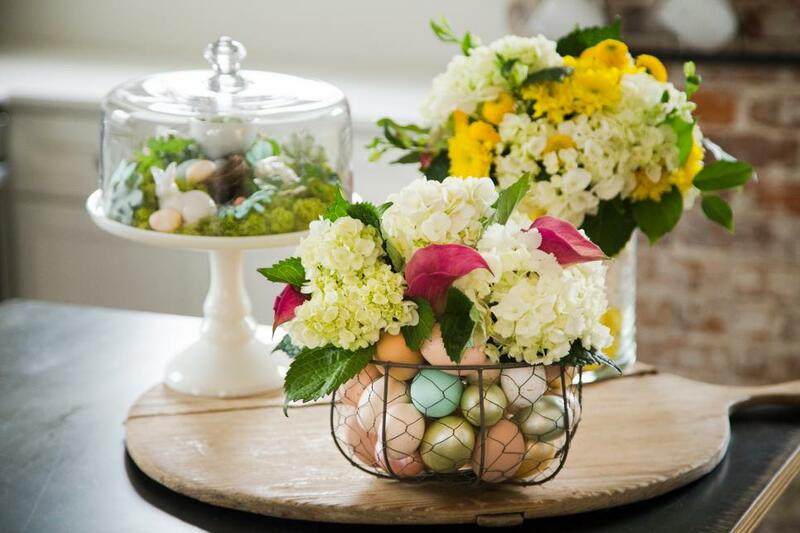 For that special someone who loves flowers, why not add cheer to your Easter table by creating one or all of these festive floral centerpieces.Then you can send them home with bloom-loving guests once the party’s over. Is your favorite grown-up a soon-to-be mom or dad? Surprise them with a basket filled with everything they might need in the months to come, plus a few after-baby goodies. Do you know someone who just loves watching movies? 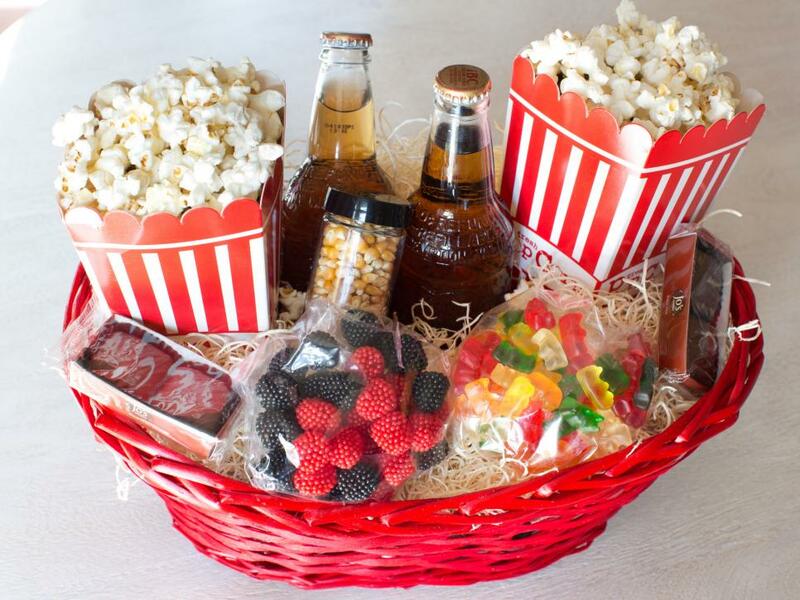 Treat them with this wonderful filled basket with popcorn, sodas, and candy with perhaps a DVD nesting in the grass. Want to give your someone special a Spa Day? Fill a basket with luxurious body butters, soft cozy slippers and soothing bath oils. 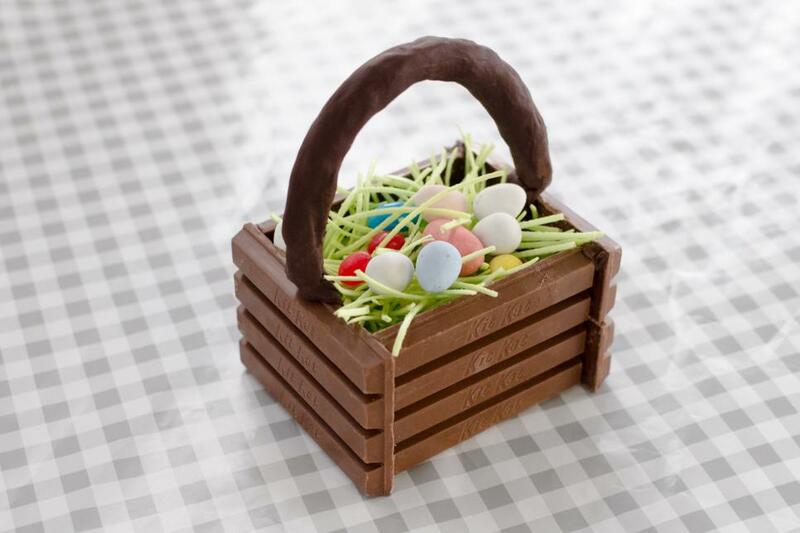 Make it festive by adding in a decadent Easter-themed candies to indulge in while relaxing. Do you have a snack addict? 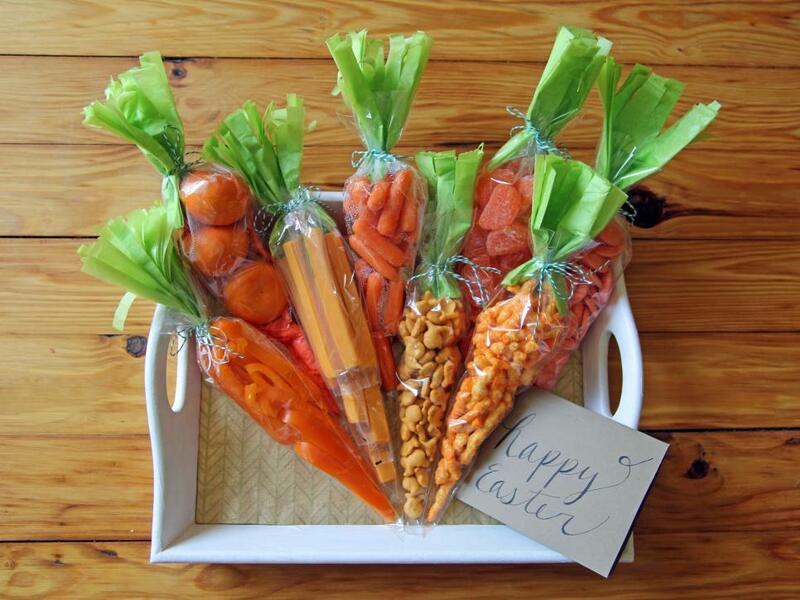 Fill a basket with healthy, yummy munchies. Round up their favorite orange-hued eats, a few clear piping bags and green tissue paper for a quick and it makes an easy gift idea. For that Cocktail enthusiast, fill a basket with their favorite drink ingredients. 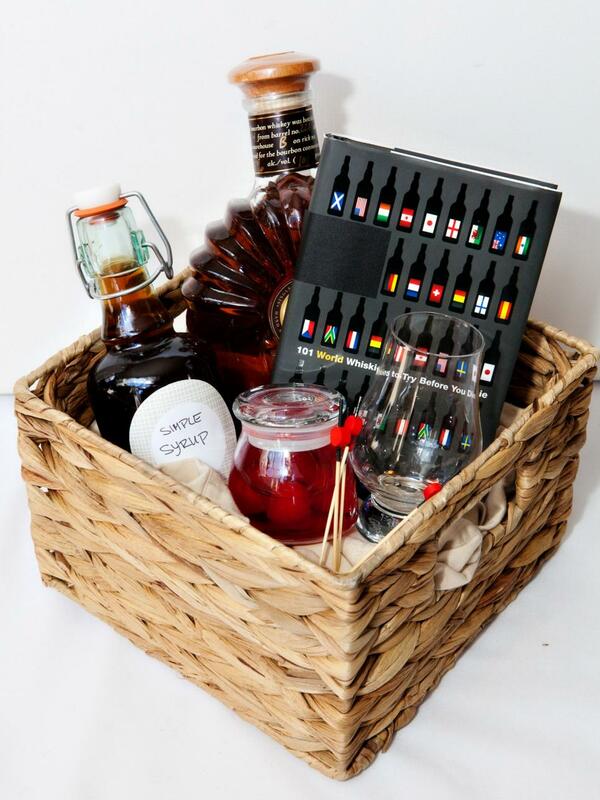 A bottle of specialty liquor, flavored syrup, garnishes and a boozy coffee table book make up this basket. I hope this was helpful. 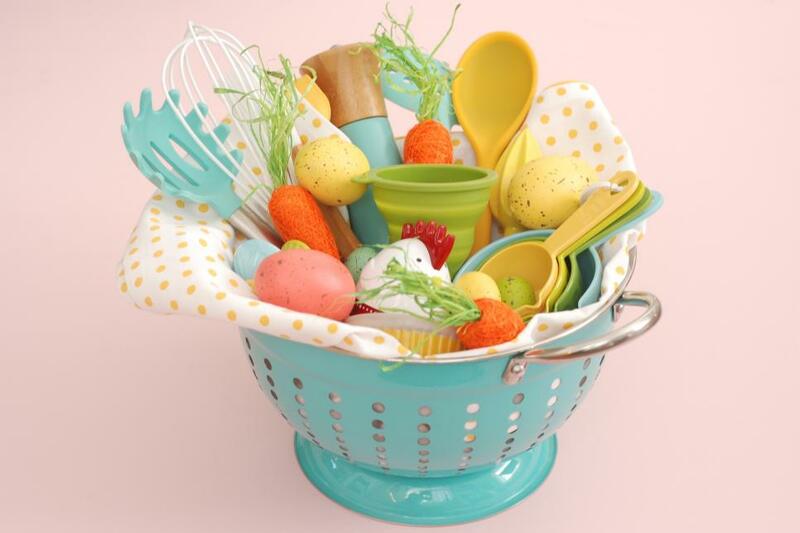 If you have any great ideas for gift giving Easter baskets…I would love to hear about them….please! These are some really great ideas. I especially love the coffee and movie baskets. My pleasure. I haven’t done Easter baskets for a long time, but I think this year would be a good time to start the tradition again. Oh how fun Joseph, have I inspired you?? So, what are you thinking? Are you going to use one of these ideas? They are all adorable, and I thank you for the Chef basket, darling! You are very welcome! I thought of you instantly! You are so sweet, darling! They are all awesome Easter Baskets, but I love the coffee one the best! Yum! Your a kit kat fan too!!! Oh yes, pretty much anything chocolate! If you ever make this, I put mine in the freezer in a baggie. So it stays good a few days before.